It’s great news for the people of Hunan, whom he will be representing as a deputy in China’s National People’s Congress. 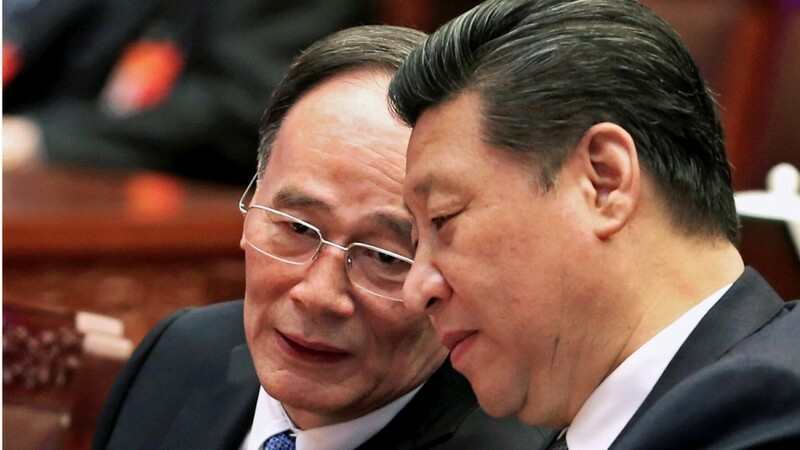 There’s even the chance that Wang’s Qishan’s selection is just a prelude to him being named Vice-President when that legislative body meets in a couple of months—a position that could well enable Wang to continue to support President Xi Jinping and his programs. 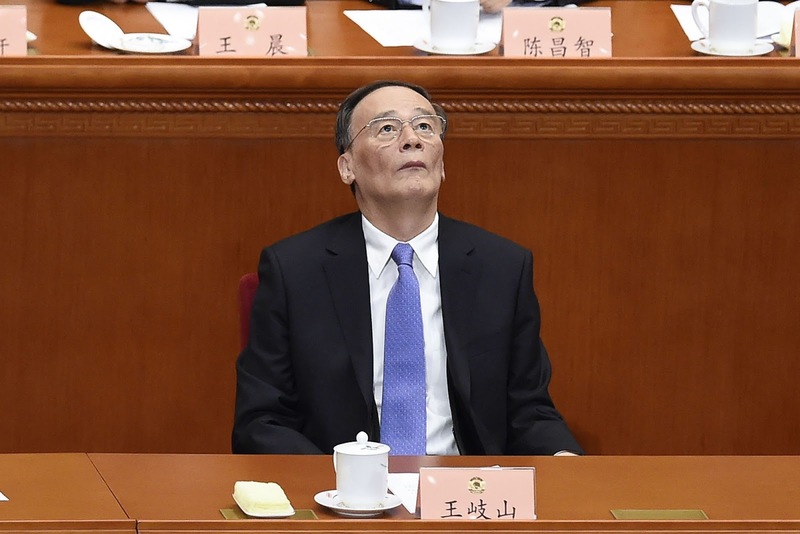 And it’s great news for all of those analysts who predicted that Wang Qishan [王岐山] wouldn’t retire and would remain on the Politburo to continue being the anticorruption czar that Chinese officials feared and so many China Hands admired. It’s important here not to mention that the latter prediction was utterly wrong. Nor should anyone note that it came from many of the same folks whose sage advice for some years was that China would be opening up economically and politically; that the new generation of China’s leaders wouldn’t be ideologues but technocrats; and that leadership succession in Beijing was becoming more institutionalized and therefore more predictable. There were many conferences and professional meetings about such themes, and those with such wisdom were well funded for their forecasts. Good for them; they did well, for themselves. Maybe there’s material out there written by those who prognosticated such matters that explains why and how they missed so much--perhaps an extended essay or two (heck, maybe even a conference) as to what might be learned from those errors of analysis. There could be; but if there are any mea culpas about and ideas about how to avoid such problems in the future, they’re proving terribly difficult to locate. In any event, let’s just not mention those things. Here's what we should know: Nothing in the analysis of Chinese politics is easy. And there’s a planetary difference between those who examine Chinese sources and statements and do the hard slogging of actual reporting, and those who seem to rely on China Daily and their assistants for their weekly dollop of charting the country’s direction—and poke fun at those in the former camp. It’s just that a little more humility and a lot less hubris in this project of trying to understand the nature and trajectory of Chinese politics wouldn’t go amiss. But back to Wang Qishan. Maybe he’s headed for Vice President, using the back door of China’s legislature to continue to help Xi. That's not inconceivable. Wang has been brilliant at many things, and he is purported to have a warm relationship with Xi. At the same time, getting Wang elevated may not be (or have been) a political deal easily done. Indeed, forgotten in all the gushing about Wang by foreign diplomats and bankers and others who’ve shaken hands for photo ops with him is that Wang has made a whole lot of enemies in the party ranks with his anticorruption campaign; more than a few local officials haven’t been shy about privately condemning the crusade and Wang’s tactics. Actually, at this time last year, there were clear and strong signs that the antigraft crusade was being put aside for a time, probably in part because Beijing wanted to try other strategies and maybe also because local resistance and outright opposition to Wang and the campaign had taken a firmer hold. So, did Xi have to burn some political capital to get Wang back—that maybe Xi isn’t quite the dominant leader so many assure us Xi is, and that he now needs Wang to step back in, in some formal way? Is it also possible that Wang isn’t exactly the fabulous mentor and political ally that many have made him out to be—or that he had been, but that Wang is worried that Xi is listening to advisers who have been urging the Party leader to double-down on the increasingly radical hardline and is desperate to be heard once more? Is it at all conceivable that more than a few observers are projecting their own hopes on Wang—that he’s the latest version of, say, deposed Party leader Zhao Ziyang [赵紫阳] and former Premier Wen Jiaobao [温家宝] —where many Western analysts saw qualities that they wanted because the existing alternative was unpleasing? That is, could Wang's reappearance be bad news for those who hoped that liberal reform might at least be hiding out, holed up in the NPC? Yes, and yes and yes. It’s all possible. Just as hardly anyone predicted that Wang would return to an official position of some power, there’s not a lot of reason right now to think that Wang’s return is a major event--at least not yet. No one can know—which is fine, so long as those of us who try to decipher Chinese politics come out and say so. Still, it’s strange stuff to be reading about Wang, especially the confidence among some quoted as if they know what this is all about. Up to now, Xi was in total command, and the National People’s Congress was a do-nothing, rubber-stamping legislative body. Suddenly, Wang being named as a NPC representative from Hunan is presented as a portent of a new political situation here in China. Nothing is said about what any of this means in terms of policy; just that Wang helps Xi with securing power that everyone was being told Xi had plenty of already. Ok, maybe that’s fine. But really it's not. Amidst all of this speculation, apparently there’s no possibility that Wang Qishan is a patriot and a loyal comrade; that he believes that the National People’s Congress does good and important work; and that still wants to serve the Party and the nation, even in a far more subdued role. Nah. Nuance isn’t nearly as much fun when nefarious explanations will do just as well. 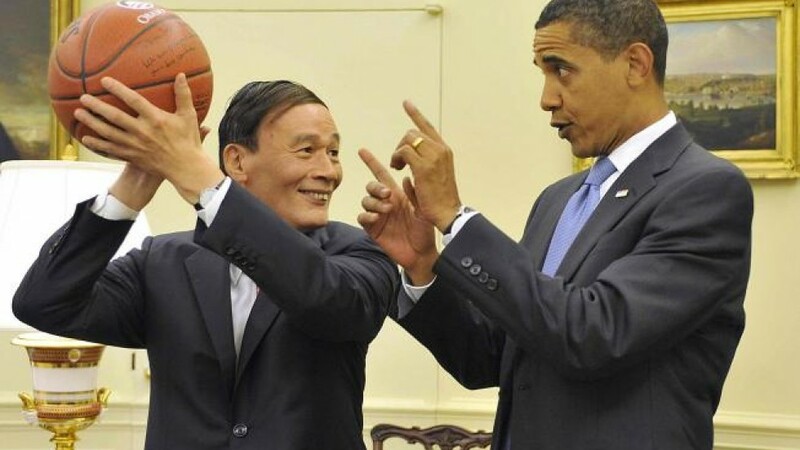 If there’s one thing we do know about Wang Qishan is that he’s a warrior. So, as the NBA trade deadline approaches and with growing concerns at Golden State if one of their stars were suddenly injured, expect Wang to be signed to a 10-day contract, coming off the bench to relieve Draymond Green at power forward. Look for Wang Qishan to do a lot of posting-up, setting picks for the real scorers, and playing excellent defence on behalf of the team. After all, that's been Wang's role up to now and he clearly has a few moves left. If you have to ask yourself which camp you reside in, you’re in the latter one. That there is clear disagreement between the two best newspapers for reporting on China—The Wall Street Journal and The New York Times—about what Wang’s selection portends is telling and should be instructive. It probably won't be. The media outlet that did predict that possibility and could well be on the mark with Wang--South China Morning Post-- is clearly receiving instructions from certain parties in Beijing to leak or spin information for an English-reading audience. After all, there’s precedent for that in Chinese politics: former Premier Zhu Rongji [朱镕基], for one.